In a question of the limits of Parenting Coordinators’ authority to issue binding instruction to parties before a Family Part judge or to modify existing court orders, the Appellate Division has again concluded that judges are tasked with holding the ultimate authority to mediate and resolve disputes between parents and are not permitted to hand off the authority to issue binding judgments to a Parenting Coordinator. In 2007, several New Jersey counties implemented a pilot program which made Parenting Coordinators (PCs) an official part of the family court system. Judges could appoint PCs to serve as a neutral to negotiate smaller conflicts that develop between divorced couples with minor children, with the stated goal of decreasing conflict between parents and helping them to develop tools to make communication and compromise easier moving forward. PCs could recommend a particular outcome, but they were not authorized to change an existing court order or judgment without all parties’ agreement. Despite these restrictions on PCs’ authority in the pilot program guidelines, judges in numerous counties not participating in the structured pilot program but which still used PCs allowed these individuals to review motions and make modifications to existing orders that were not later subjected to judicial review. The Appellate Division had previously ruled this practice unacceptable, stating that trial judges could not order parties to comply with the decisions of PCs, but needed to serve as the ultimate decision-maker themselves. However, judges were found to have allowed this practice to continue. The latest word from the Appellate Division on PCs’ role in the Family Part system came in the recent decision issued in Parish v. Kluger. The couple in this case were divorced in 2008 and seem to have been almost continuously before the court since that time on various custodial disputes. The Family Part judge in this matter had appointed at least two PCs to navigate the disputes between the former spouses, after the father had requested the replacement of the prior coordinator. The conflict over the PC centered on the need for a revised parenting time agreement. The father claimed that the mother had not been allowing the father the visitation time called for in the couple’s marital settlement agreement (MSA), and insisted that the parenting time schedule be reevaluated. The father also requested that the PC’s services be terminated, after she had promised but failed to make written recommendations regarding a revised parenting time schedule. The mother argued that the father’s apathy was responsible for his lack of parenting time with their young children, but agreed that the parenting time schedule as established by the MSA needed re-evaluation. However, the mother felt that the PC assigned to their case was capable of generating a new parenting time schedule and would do so if the father complied with the PC’s instructions that the father and two children be subjected to a psychologist’s evaluation. Without holding a hearing, the trial court found no evidence of changed circumstances that would warrant altering the MSA-established parenting time schedule, and ordered that the parties cooperate with the PC, declining to terminate her. The Appellate Division pointed out that the dispute between the parents over the father’s amount of parenting time needed closer examination by the court, not the PC. The Appellate Division found that the court’s ruling “vest[ed] in the parenting coordinator the resolution of the parties’ conflicting positions as to why the MSA Parenting plan was not working. The court has no authority to delegate its decisionmaking to a parenting coordinator. 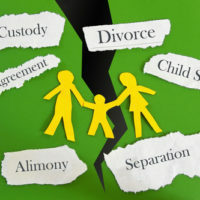 Further, a trial court has no authority to require parties to abide by [the parenting coordinator’s] recommendations.” The Appellate Division ordered that the trial court reexamine the couples’ various disagreements and that it issue a ruling that more clearly details the facts and rationale behind the decisions, holding a hearing before making such a ruling, if necessary. If you are facing a dispute before a New Jersey Family Part judge over a divorce or parenting time, contact skilled and compassionate Union family law attorney John B. D’Alessandro for a consultation on your case, at 908-964-0102.